Chat & Get Clarity Today! 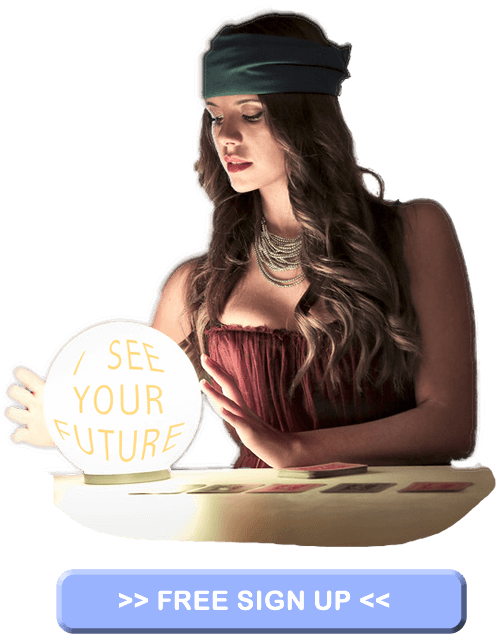 THERE ARE 100’S OF PSYCHICS WAITING FOR YOU LIVE – 24/7 – Readings from 0.99 cr/min + 9.99 Free Credits to start! 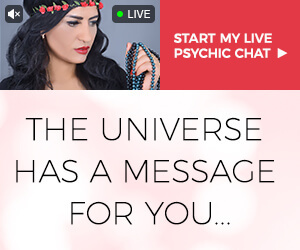 Register for free and take advantage of free psychic chat. How Online Psychic Chat Works? 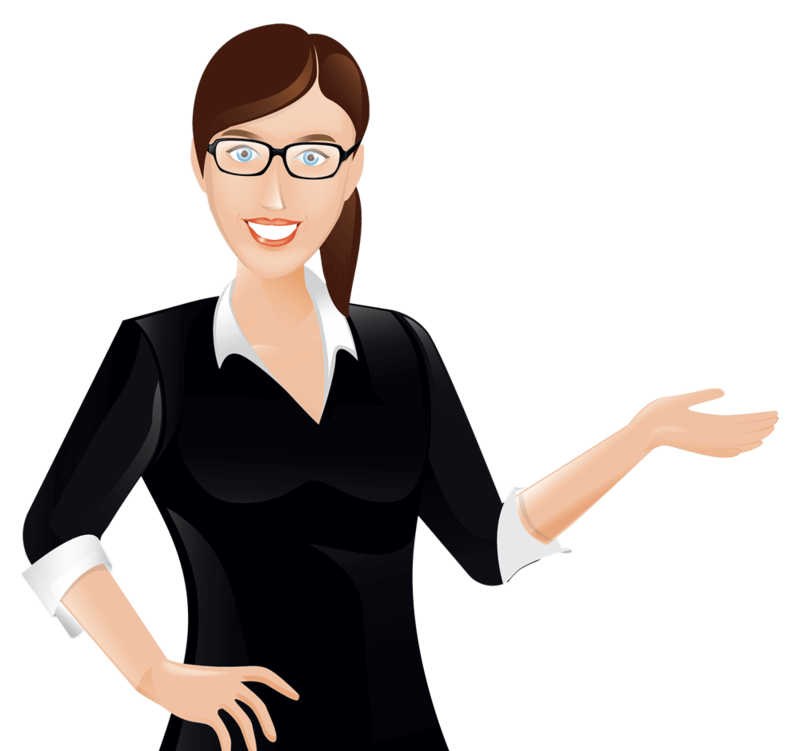 The advantage of online chat rooms is that you do not have to leave the comfort of your home to visit psychics, tarot card readers, mediums, clairvoyant, love psychics etc. and get your answers. For this type of psychic readings you only need computer to join them in free chat room, where they are available 24/7. ​And with the free chat option, you are given the opportunity to assess the quality of the psychic before you decide to take them to private reading and pay for the session. No losing money while deciding, whether the Tarot Reader you are interested in, is the right person to give you a reading. In our community we strive to have the best advisors possible and they are always ready to give you a private reading. Whatever your issues at the time, whether it’s love, job, finances, we have psychics specialising in different areas available at any time. We have you covered! You want to feel better right away? You are just a click away from a quality tarot card reading, or an astrology prediction that can look into your zodiac sign and tell you your next best move to take. How to get as much as you want out of a 100 % Free Chat? 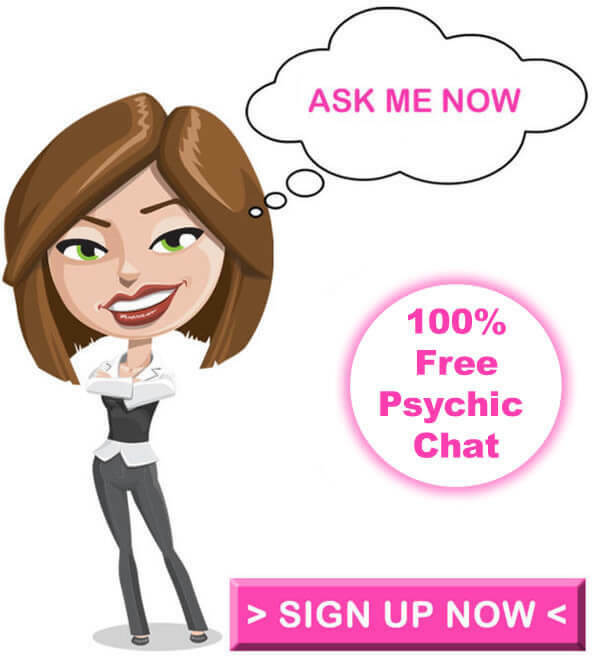 How to start with 100% Free Psychic Chat? When entering chat rooms, Always log in so psychics have a way of identifying you. Entering as guest will mostly give you no response, because psychics do not know who they are talking to, and it is against the rules for them to engage into conversation with a non-registered person asking questions. If you are not registered yet, you can register for free. You do not need credit card to do so. I Am Ready For A Private Reading – What Do I Need To Know? Before taking a fortune teller to a private reading, we suggest preparing questions in advance. Bellow you may find some ideas of questions you may ask, to get as more from a reading. All private readings are just that, private, so you do not have to worry about anyone listening to your conversation. If you wish, you also have the option to turn on your camera, or use the microphone to have a conversation with your advisor instead of typing. 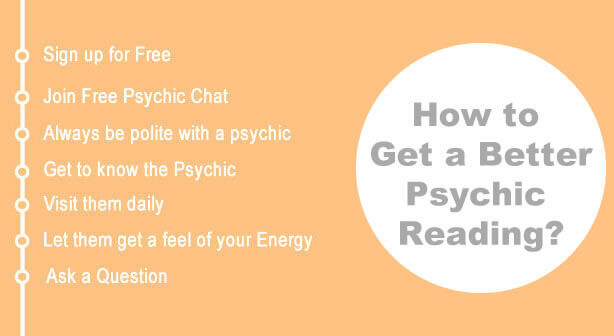 How do you choose a Psychic for your private reading? When choosing a Psychic for online psychic readings you have to pay attention to several things. Most importantly their ability to connect to you, and whether they are communicating so you can understand them and read the way you expect your answers to be relayed. Our Customer care always strive to have all this info available for you. This is a new offer, all new customers are getting free credits for up to 10 free minutes for a psychic reading! If you didn’t take advantage of this amazing offer yet, you should take it immediately before it is gone. 1. Create new account, each new user is offered to get 9.99 Free Credits! All you need to do is add your credit card to your profile, however No Payments Required. 3. This offer is only available for new customers who sign up and validate new credit card. Existing paying customers don’t have access to this offer. 5. This free credits offer is available only once for each new user and it is not recurring. 6. I didn’t have enough time in a private reading. After you have used all your credits, you can buy more to have all your questions answered. Make sure you buy them enough so you won’t be cut off again in the middle of the conversation. 1. What information does the universe have about my love life? 2. Why have I not found love yet? 3. How can I improve my love life? 4. Does he love me? 5. Can you show me the best path to love? 1. What does the universe want me to know about my career and finances? 2. How can I be more Successful? 3. What career am I best suited to do? 4. What can the universe tell me about my current job and how I can get promoted? 5. How can I improve the way that I manage my money?